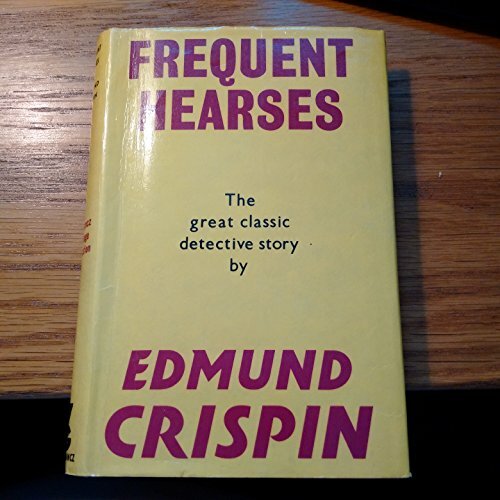 Edmund Crispin (2 October 1921 - 15 September 1978) was the pseudonym of Robert Bruce Montgomery (usually credited as Bruce Montgomery), an English crime writer and composer. Montgomery wrote nine detective novels and two collections of short stories under the pseudonym Edmund Crispin (taken from a character in Michael Innes's Hamlet, Revenge!). The stories feature Oxford don Gervase Fen, who is a Professor of English at the university and a fellow of St Christopher's College, a fictional institution that Crispin locates next to St John's College. Fen is an eccentric, sometimes absent-minded, character reportedly based on the Oxford professor W. E. Moore. The whodunit novels have complex plots and fantastic, somewhat unbelievable solutions, including examples of the locked room mystery. They are written in a humorous, literary and sometimes farcical style and contain frequent references to English literature, poetry, and music. They are also among the few mystery novels to break the fourth wall occasionally and speak directly to the audience.